2014: What do I think of you? Here it is, my 2014 recap! Cause I know you’ve been dying for me to write this. Let me preface the rest of this post by saying that this will not be all about blogging or books or writing…it’s going to be about all things me, and some not. Might as well get started before you die of boredom. I’ve seen other bloggers write their recaps in chronological order, but no. I’m not doing that. I’m going to hit on whatever topics I want. First up…Blogging. Talk about a fantastic year. Did you see my WordPress annual report that gave you a little insight into my blog? If not, you can do so here. What’s happened on this blog is as unlikely as it gets. I blogged for six months last year and had a grand total of 1200 views. Let’s be real, that’s nothing. I was literally writing for myself cause no one else was reading. I only blogged about writing my first book. So I’d write a chapter and then write a blog post. I’d go a week without writing and I’d go a week without blogging. I didn’t read other blogs and I definitely never commented on any. I guess I thought WordPress would magically make my blog popular. Didn’t happen. I turned the year with something like 80 WordPress followers. My app currently has the number at 2184. That’s pretty significant. And I’d have to say it’s all because of a change in format. No longer do I write about my writing, (especially since I haven’t written in months) but about anything that comes to mind. Sure books are the heavy focus, but now I include poems and my thoughts on particular subjects like Pearl Harbor and D-Day. I just realized that I posted 12 poems on here this year! Which means I’ve written 17 poems in my life. I think my Halloween poem was by far the worst. I mean, I shouldn’t have posted it because it was terrible. But I wrote it at like three in the morning and went to sleep. I don’t know if I can pick a favorite. I really like the autumn one. And also the reading one. But the materialistic one too? Ugh. I can’t pick a favorite. You try. And what my annual report didn’t tell y’all was that there were more than 10,000 comments on my blog this year! Read that again…10,000! That’s why I like blogging so much. I get to discuss all these things I have going on in my head with people who know so much more than I do. AND I’ve gotten the chance to get to know some great people over the course of this year because of this blog. Maybe one of them (or me) will one day write a huge bestselling book and go on a book tour so I can attend an event and be like, “Hey! I’m that guy who goes on rants about books on WordPress! It’s nice to meet you!” I heard there’s a WordPress expo? Maybe? Someone find out. I have some lofty goals for 2015 for Write me a Book, John! First, I want to hit 40,000 site views for the year. Second, I want to reach 5,000 WordPress followers. And third, I’d like to post 25 new poems on here in 2015. Think y’all can help make those happen? Hmm. This was a terrible year for me, which you already know if you read this post. I managed to finish a grand total of seven books this year. I’m basically a reader who spends more time talking about reading than actually reading. I read a couple good books and a couple that were okay, but that doesn’t matter. I need to read more. Period. This is serious stuff. This is a topic that I’ve really only shared with a handful of y’all. So, now I might as well share with all of you who decide to read this. Most of you don’t know that I work in retail. I actually started when I was 17 and I’ve been at the same job ever since. I make more and I have a different title, but the job is largely the same. I started the summer before my senior year in high school and worked all the way through college. And now 19 months after graduating from UHD, I’m still there. I have no issue with the job. But now I’m looking for something more. In each of the last three months I’ve had three major interviews for CJ related jobs (my degree is in criminal justice). Unfortunately, I didn’t get the first two. BUT the most recent one was just over a week ago and I’m moving forward in the process. There are five steps total. And this is the first of the three that I’m confident about. I’ll have to let y’all know what happens. I have about three weeks before the next step. I’m from Houston. I’m a die hard Texans fan. You probably already know that their season is over. They finished 9-7 and missed the playoffs by a single game. But I’m not going to complain too much about a team that improved by 7 wins over last season with largely the same personnel. Nope. And the Rockets (NBA) are looking more and more like legitimate title contenders with each passing day. James Harden is leading the way with an MVP-caliber start to the season. Wouldn’t it be something to have the NFL Defensive Player of the Year (DPOY) in JJ Watt AND the NBA MVP in James Harden? JJ Watt will most likely be the unanimous winner of the DPOY and his case for MVP is out of this world. Let’s see what happens. All things considered, I’m excited about the future of the three major sports teams here in Houston. Jose Altuve just won the batting title for the Astros. Just an FYI. Ugh. My goals at the beginning of the year were to write two books. I wrote maybe a third of one. Which is fine, I’ve known for months that I didn’t want to revisit the story until the new year. Well, time to put up or shut up. I have about 30k words written and I know exactly where I left off. I may even have a little surprise for y’all about this at a later date. We’ll see. But my writing goal this year is to finish the first draft of the story I have now. No other timetable. I just want to finish it. I think I can. Even if I start working a new job, I think I’ll be able to finish it. Yep. Gets a whole bullet to itself. Hm. I bet if I did a search of my blog for Katniss of THG or anything at all related to those three books that I would come up with a couple dozen posts. I mean, I’m obsessed. Sure I didn’t reread the books like I said I would, but now all I do is sing The Hanging Tree. Not even kidding. Matter of fact, here. Watch. Yes I know that Jennifer Lawrence isn’t going to win any Grammys any time soon, but really? Did you expect her to sound so…perfect? Seriously. You can’t listen to that and not be impressed. And the movie itself wasn’t bad. It wasn’t as memorable as either of the first two, but no one expected the first half of the worst book to be the best movie. At least no one who knows anything about the movies and the books. I’m looking forward to the conclusion of the series. Pretty sure I’ll be that crying uncontrollably emoji once it’s over. Not even kidding. Y’all have no idea. I want the mockingjay pin tattoo. This is one that I would never have imagined happening. I’m big on TV. Y’all know this. Before 2014 I had subscribed to a grand total of zero YouTube channels. And I could have named one YouTuber. But then in July I discovered Superwoman. I still sing her song #Leh just about every day. And I watch all of the videos she releases. But that’s not all. I’m now subscribed to maybe a dozen channels that range from top ten lists to pranks. I discover new channels almost every week and have discovered that I’m genuinely entertained by people who just put themselves in front of a camera and record. Here’s Superwoman’s 2014 recap. I’d be lying if I didn’t say that this really made me happy to see. I know I don’t know her personally and I’ve yet to meet her, but there are very few celebrities who I believe are as genuine as she is. Oooh getting personal. I’m no different from any other person. I have people in my life who matter more than or less than the next person. 2014 was no different. I’ve had a number of people just kind of drop out of my life this year, and one that I never would have expected. But hey, that’s life. I still have a number of people who I personally admire and respect. I’ve written about a few of them on here this year. Overall 2014 will be remembered for the people I now know from blogging and for me beginning my career search. So I think that’s it. No real major events. No random kids. No random marriage. Not really anything that would mean something to someone else, but that’s okay. It was my year. 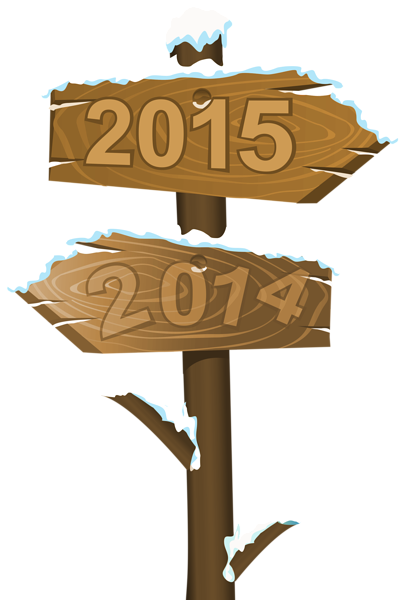 The Best of 2014 is a series of posts in which I talk about a different topic each day this week. Today’s topic will be adaptations. Except today’s post is different. I don’t have a list for you. I’m going to ask what you all think. Because I don’t go to the movies enough to have any idea what the best adaptations of 2014 are. 2014 was no different from other recent calendar years in that there were MANY books adapted into major films. Just a few off the top of my head that were at least fairly well received…Lone Survivor, Gone Girl, Mockingjay Part 1, The Theory of Everything, The Fault in Our Stars, and The Maze Runner. I could have named a lot more, but the point of this post isn’t for me to list out random literary adaptations. I want to know which movies adapted from books you enjoyed this year. Sure there’s an inherent bias if the book happened to be written by an author you like, but who cares. I have two movies in mind that I think are probably the best movies based on books, but that’s just based on reviews and critics. Y’all may think differently. So tell me, which books adapted into movies did you think stood above the rest in 2014? PS: Lone Survivor was actually released on Christmas day last year, but it received a wide release in January. When are you Seeing Mockingjay? Now I know that most of you aren’t obsessed with Jennifer Lawrence or Katniss or just the whole series like I am. I get it. But I also know from previous conversations that most of you have enjoyed the series and read all three books. You’ve likely also seen the first two movie adaptations. As I’m sure you’re well aware, the movie will be out here in the US tonight. My theater has four showings at 8:00. Then one every half hour until midnight. That’s pretty insane. You all should know by now that I never ever ever go to the movies. I haven’t been once in 2014. But there was never any doubt that I’d see this in theaters. Just happens that instead of going Friday morning, as has been my custom with the previous installments, I’m going to one of those four 8:00 showings. Yeah. Call me crazy. But maybe I’ll take some pictures of Katniss and Peeta and Gale? I’ve only been to three other midnight/Thursday showings. Deathly Hallows Part 2, Half-Blood Prince, and Transformers 3. That’s it. And it was pretty ridiculous for all three. But this is an earlier showing and I’m not particularly worried about being trampled by teens who can’t wait to set sight on Katniss. Although that is a very real possibility. So tell me, when are you going to see Mockingjay Part 1? Crazy enough to brave the crowds on opening night or perhaps waiting for a matinee showing on a later date? The title of this post could literally mean any one of a hundred different things. I bet if I gave you the chance to guess before I get into what this post is actually about you’d be wrong. Go ahead. Guess. Now you have something in your head that I am quite certain is incorrect. So let me tell you what is right. Every year Hollywood adapts a million books into movies. We know this. It’s not a new trend. This fall has quite a few new movie releases that are adapted from books. I mean, we know the big ones. Mockingjay. The Hobbit. Gone Girl. And there are more. This comes during a year in which we’ve already seen a number of adaptations released. Divergent. The Fault in Our Stars. The Giver. It appears that Hollywood is fast searching for the next phenomenon, but studios have recently been hit or miss when it comes to literary adaptations. Mostly miss. And the two wildly successful series (THG & The Hobbit) will be over this year and next, so the search will continue. This article from USA Today lists their ten highlighted adaptations of the fall. Which movie adapted from a book are you most looking forward to? You know the answer for me. Mockingjay Part 1 cannot get here fast enough.